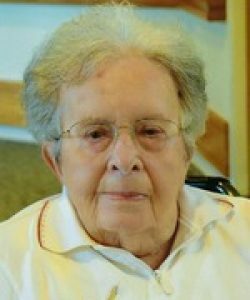 Barbara R. (Crosby) Trilligan, 92, of Auburn died peacefully with her family at her side on Tuesday, January 29, 2019 at Notre Dame Long Term Care Center in Worcester. She was the wife of the late William H. Trilligan. Barbara leaves behind her son Steven W. Trilligan and his wife Helen of Auburn, daughter Cynthia Ann (Trilligan) Whalen and her husband David of Auburn, grandchildren Heather Trilligan, Bryan Trilligan and his wife Karen, Kathryn Whalen, and Sarah Whalen McElroy and her husband Sgt. Joseph McElroy of Anchorage, Alaska; Great grandchildren, Bailey, Grady, Aidyn, and Kayla. She was predeceased by her loving husband, William H. Trilligan in 2001 after 52 years of marriage, also her parents Maynard Crosby, Elizabeth Murray Crosby and her two brothers Donald and William Crosby. Barbara was born and raised in Sutton and graduated from Sutton High School in 1945 after which she attended Wards Business School. She worked in the payroll office of Whitin Machine Works before devoting her time raising her family. 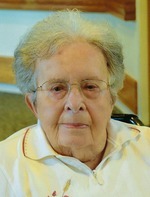 Barbara also worked for many years as a billing clerk and secretary at McNally Heating Supply and Pioneer Oil Company. Barbara retired to Vero Beach, Florida in 1989 with her husband Bill. During her time spent in Florida, she enjoyed golfing, cards, dancing, bowling, traveling, and the Florida Sunshine. After the death of her husband in 2001, Barbara stayed in Florida until 2005 at which time she returned back to Massachusetts to be with her family. Barbara’s family would like to express their heartfelt thank you to Heather Selah, PCA for the excellent care given to her until she entered Notre Dame Long Term Care Center. 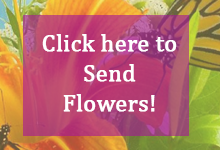 Sincere gratitude is also sent to all those who cared for Barbara at Notre Dame Long Term Care Center. Their kindness and compassion was truly appreciated, especially Carmen who did so much for Barbara. Relatives and friends are invited to visit with Barbara’s family on Saturday, February 9, 2019 beginning at 10:00 AM at BRITTON-WALLACE FUNERAL HOME, 91 Central Street, Auburn, MA. A Funeral Service will follow beginning at 11:00 AM in the Chapel. A private burial with family will take place at Worcester County Memorial Park, Paxton. Donations may be made in Barbara’s memory to the Michael J. Fox Foundation for Parkinson’s Research, P.O. Box 5014, Hagerstown, MD 21741-5014.